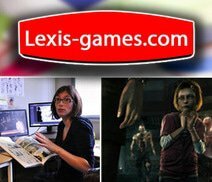 After a 24 year long career of publishing video games and being lauded as one of the most creative publishers in the field, Lexis Games, also known as Lexis Numerique, disappeared from the scene in 2014. Lexis Games' imaginative take on entertainment for a variety of platforms wasn't enough to keep Lexis Games in business, a sad fate for a company running since the early days of the industry in 1990. After forming in France and working with top name publishers such as Ubisoft, DreamCatcher Interactive (now Nordic Games), and more on top of completely self-made properties, Lexis Games ended their run of innovative games and diverse ability. From virtual pet type games such as Horsez, children's learning games like Learning With The PooYoos, Lexis Numerique showed the ability to appeal to younger generations. With more mature games such as the puzzle/detective title Red Johnson's Chronicles: One Against All and the survival horror/adventure The Experiment, Lexis Numerique showed off the versatility that only a talented team can pull off successfully. Despite the wide range of genres that Lexis Numerique were able to work in, Lexis Games may be an example of trying to reach too far and do too much. Lexis Games were able to product software for a great deal of platforms such as PC and Mac, Sony's PlayStation 2 and 3, Microsoft's XBOX 360, and Nintendo's Wii, WiiU, DS and DSi, as well as web-based games developed in partnership with McDonald's to promote Happy Meals. While there were no smash hit successes in the company's long history of creating varied and interesting content for all ages, they managed to sell more than 9 million units but now their games are all but forgotten or relegated to bargain bins. Beyond listings of their games and the odd scrap of information here and there, the studios' memory seems to have gone the same way with their social media scrubbed or abandoned and a site that has gone without an update for quite some time. Today, the Lexis Numerique website is a place where information on top games is shared. From the worst games ever to slots inspired by video games, our website offers something for everyone. We would like our Lexis Numerique visitors to leave feeling inspired, with a new games to go and try. We will update our content on a regular basis and welcome you to contact us for information on anything that you come across on our website. We are particularly proud of our selection of the 5 best indie video games. The list includes indie games that continue to push boundaries, and will be updated to include only the best of the best titles on Lexis Numerique. Please drop us an email; if there is a game that you feel should be mentioned in one of the many lists on this website. Also, make sure to try the slot machine casino games, even if you are not a gambler. These games have adopted signature features found in video games and now provide players with endless opportunities to win. Plus, the graphics are really impressive and make use of 3D animations to make it feel as if you are sitting in front of an actual slot machine, something that all Lexis Numerique visitors will enjoy.